His lawyers call the damage claims "absurd." Tesla wants Martin Tripp to pay for the damage he allegedly did to the company. And it’s asking for big bucks. 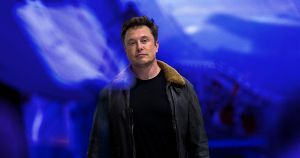 Tripp is the former employee Elon Musk accused of attempting to sabotage Tesla back in June. At that time, we knew Tesla filed a lawsuit against Tripp, but we didn’t know the exact amount the company was seeking in damages. Now we do: a whopping $167 million. According to Tesla’s lawsuit, while working for the company as a process engineer, Tripp hacked Tesla’s computer systems, exported data illegally, and told lies to journalists about the company. Those lies included assertions about Tesla’s use of faulty batteries in cars and millions of dollars in material waste. As an added twist, Tesla is apparently fighting back against Tripp’s legal team’s deposition requests. “Tesla has objected to Mr. Tripp’s desire to take more than ten depositions… In this case, where Mr. Tripp is being sued for more than $167,000,000 and has asserted counterclaims against Tesla, more than ten depositions is certainly reasonable and appropriate,” Tripp’s lawyers wrote in a November case report viewed by CNBC. Depositions are a litigation tool in which a witness provides sworn, out-of-court oral testimony a legal team can then transcribe and use as part of its court case. This testimony could make or break Tripp’s defense, so the court’s ruling on his deposition requests in Tesla’s lawsuit might determine whether or not he ends up owing the company nothing — or $167 million.